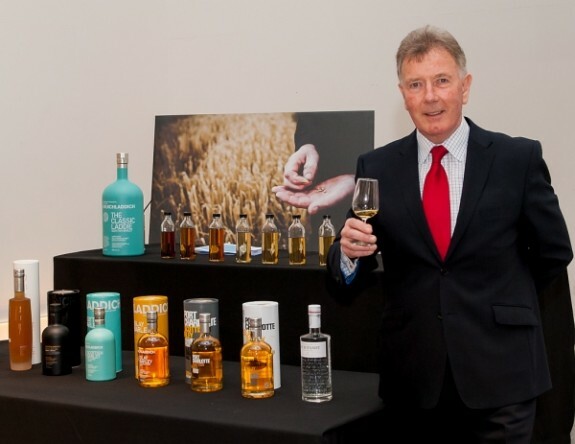 There are few people who have been more influential in modern whisky than Jim McEwan. From managing Bowmore to restarting Bruichladdich, he has helped build a legion of dedicated fans. But, after more than five decades in the whisky business, he will retire this summer. As part of a farewell tour, he stopped in at The Whisky Exchange shop to lead one of his final masterclasses for Bruichladdich. Nose: Lemon zest, vanilla cream, ginger nut biscuits and toffee. As it sits in the glass it gets creamier, and picks up notes of spicy cinnamon and digestive biscuits. 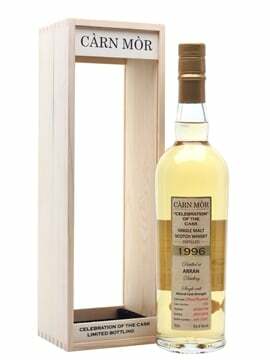 Palate: Thick and oily, starting with the toffee and lemon from the nose, before building in intensity. Sharper citrus notes appear, with a background of darker earthy notes, hints of minerality and a touch of sea spray freshness. Finish: Lingering, with gentle spice and citrus. 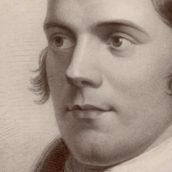 Comment: A great introduction to modern Bruichladdich, combining their fresh and zesty whisky with hints of darker and more cask-led character. One of Jim’s obsessions is ‘place’: where each stage of the whisky making process happens, and how that influences the final result. For their Islay Barley releases, all of the grain is grown on the island – other than malting the grain, every step of the production process, from growing the barley to putting the whisky in the bottle, happens on Islay. 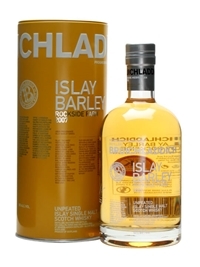 The grain used to make Bruichladdich Islay Barley 2007 was grown at Rockside Farm. 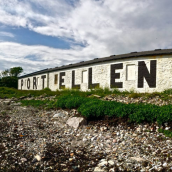 Their fields are washed over by the same sea breezes as the distillery and the warehouses, and the whisky is infused with Islay character even as the barley grows. Nose: Yoghurt, honey and grain, with citrus and a touch of spice. There’s a bit of a farmyard hint behind the scenes, with grain stores and some overripe fruit. 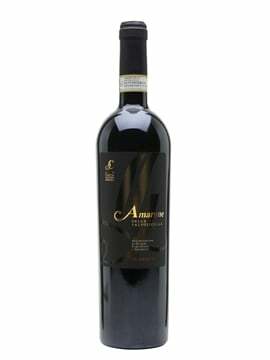 Palate: Rich and creamy, with the honey and citrus from the nose expanded and more pungent. Along with that, there’s aniseed, caraway, cinnamon, baked Granny Smith apples and a sprinkling of salted caramel. Finish: Lemon peel and freshly crushed grain. Comment: Less polished than the Classic Laddie, with a more of rustic edge. The creaminess and thick texture of the spirit just amplify the effect. Jim started out as a trainee cooper at Bowmore, and this has led to a career-long obsession with casks. 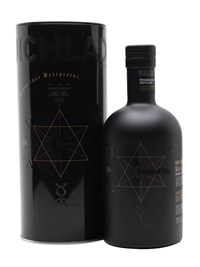 At Bruichladdich he’s experimented with different types, and with Black Art he has combined those experiments with something else he’s passionate about: hating marketing. He won’t reveal the recipe, and all we know is that it’s got wine-cask-matured spirit in there. We tried the most recent version, Black Art 4.1, bottled at 23 years old. 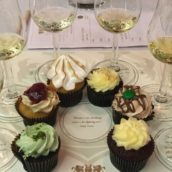 Nose: Hugely sweet and fruity, with Werther’s Originals, pink shrimps sweets, rhubarb and custard sweets, butter icing, spiced apples with thin custard, and a rich bed of wine, with dark chocolate and soft chocolate cookies. Palate: Spiced cake batter, raisins, dark chocolate, salted caramel, toffee and layers of fruit: stewed, overripe and sweet. Finish: Spiced sponge cake, apple, apple skin and a tingle of aniseed, fade to rich, spiced butter. Comment: While I’m not often a fan of wine-cask-matured whisky, this one stays on the right side of too woody, with layers of fruit and spice that really work. 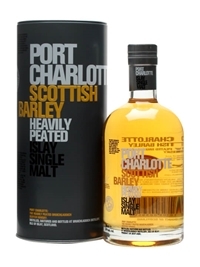 We then moved on to a Port Charlotte, the name for Bruichladdich’s standard smoky dram. 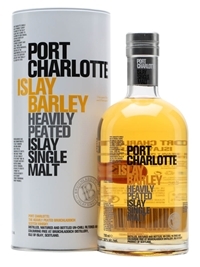 Port Charlotte Islay Barley has the same idea as the non-smoky version, but rather than solely using bourbon casks to mature the spirit, the smoky version throws in an extra element: Chateau d’Yquem casks. 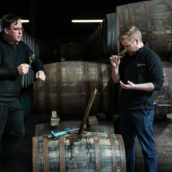 Former managing director Mark Reynier’s connections with the wine industry helped Bruichladdich get access to rare casks, such as those from Yquem. Nose: Sea spray, bung cloth and sharp smoke sat on top of a layer of sweet apple and pears, with coal dust a hint of menthol. 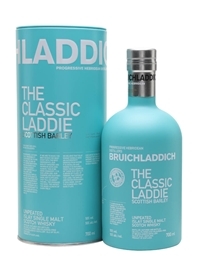 Palate: Smokiness, singed lime peel, damp leaves and charcoal, with a fruity centre of green apple and unripe pears. There’s lots of black pepper spice as well as a backbone of slate minerality and spicy green ferns. Finish: Burning leaves lead to sweet fruit and sea spray, with earthy peat and dark chocolate lingering. Comment: The smoke isn’t as muddy as many Islay whiskies, floating on top of a fruity core. However, it doesn’t hide its darker side, with a solid base of earthy peat. We then moved on to Octomore, the peatiest whisky in the world. It has worked its way up from 131ppm – phenol parts per million, a measure of how much peat smoke has been absorbed by the barley – in the first release, to 238ppm in the Octomore 6.3 Islay Barley 2009 that we tasted with Jim. With other heavily peated whiskies rarely breaking 50ppm, Octomore is something quite different – ‘It’s a taste that no one’s experienced before; nobody’s been there. It’s like the first moon landing,’ says Jim. Nose: Swimming pools, boot polish, singed apples and burning Christmas trees. As you get used to the extreme smoke, you can pull out more delicate flavours hiding behind: some floral notes – violets and roses – liquorice, aniseed and sour cream. However, the big peat is always there, with a backbone of creosote, Vick’s Vaporub and coal smoke. 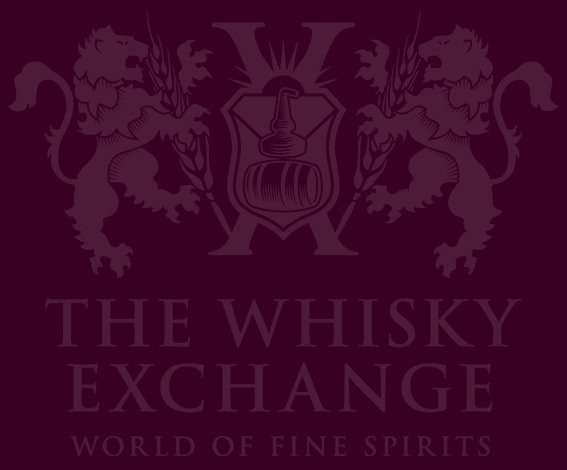 Palate: Liquid bonfire smoke and barley sugar, with candied bacon, burning pine and green leaves. There’s much more to it than simple smoke, with apple pies and vanilla cream joined by sweet and bitter chocolate mint. Finish: Bung cloth, ferns and sweet, lingering wood smoke. Comment: A monster, but worryingly drinkable even at full strength. It’s a sensory overload, but as you look beyond the smoke you can see that there’s quite a lot going on. 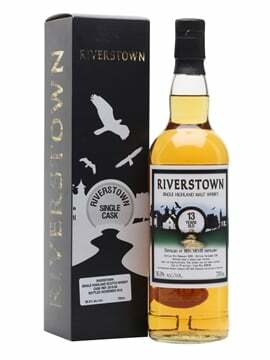 Nose: Really fruity, with lime, apple and a hint of papaya wrapped up in gentle peat smoke. There’s a stony minerality, balanced by sweet chocolate lime sweets and fizzy sherbert. Palate: Even more fruit, mirroring the flavours of the nose. There’s more smoke here, though, with bacon, singed lime peel and butter with coal dust. Finish: Gravel, lime and dark chocolate, with linkering wood smoke. Comment: I love fruitiness in smoky whiskies and this has it in spades. The smoke is still strong, but as you become used to it, there’s a whole world of fruit waiting to be revealed. Jim’s last tasting will be on Islay during this year’s festival, with a reported 500 people booked in and 328 on the waiting list. Two months later, on 23 July 2015, he will retire, 52 years to the day since he began his whisky career. His team at Bruichladdich are in place, but he won’t be moving far – he still lives in a cottage next to the distillery and doesn’t seem to keen to leave Bruichladdich completely any time soon. @Bruichladdich @WhiskyExchange muchas gracias Jim McEwan por todo lo que disfrutamos en Argentina de sus genialidades.